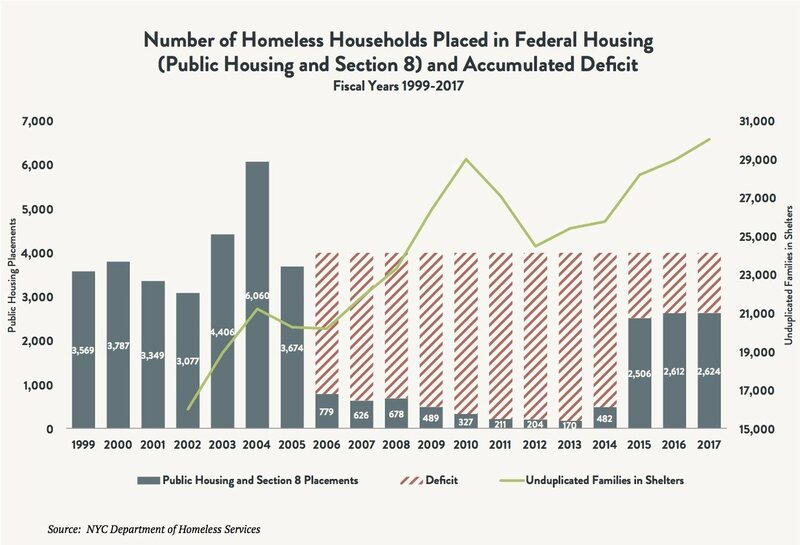 NEW YORK, NY – The Coalition for the Homeless released today its 2018 State of the Homeless report, Fate of a Generation: How the City and State Can Tackle Homelessness by Bringing Housing Investment to Scale, a comprehensive look at homelessness in New York City. The report finds that policy failures by the City and State have exacerbated the decades-long homelessness crisis stemming from New York’s severe lack of affordable housing and extreme income inequality, with an average of 63,495 men, women, and children sleeping in City shelters each night at the end 2017 – an all-time record. State of the Homeless also compares Mayor de Blasio’s homeless plan released last year, which projects a modest 4 percent decrease in the number of people living in shelters by 2021, with the Coalition for the Homeless plan that would reduce the homeless population by up to 35 percent and bring the shelter census down to below 40,000 by 2021. The report states that the Mayor’s affordable housing plan, Housing New York 2.0, falls far short of creating enough permanent housing for homeless New Yorkers. The report goes on to outline tools the City and State have at their disposal to accomplish the Coalition’s goals, while also improving conditions in shelters. “Politicians may say that homelessness can’t be solved. Don’t believe them. We know what works. It’s up to the Mayor and the Governor to fund the proven solutions on a scale to match the need. It is time to end multi-generational homelessness,” added Routhier. At the end of 2017, an average of 63,495 men, women, and children slept in City homeless shelters each night – an all-time record. To put this in context, only nine cities in the entire state of New York have populations larger than New York City’s sheltered homeless population. Three-quarters of New Yorkers sleeping in shelters are members of a homeless family, including 23,600 children. The shelter census has increased 1 percent compared with the same point last year and 82 percent since 2007. 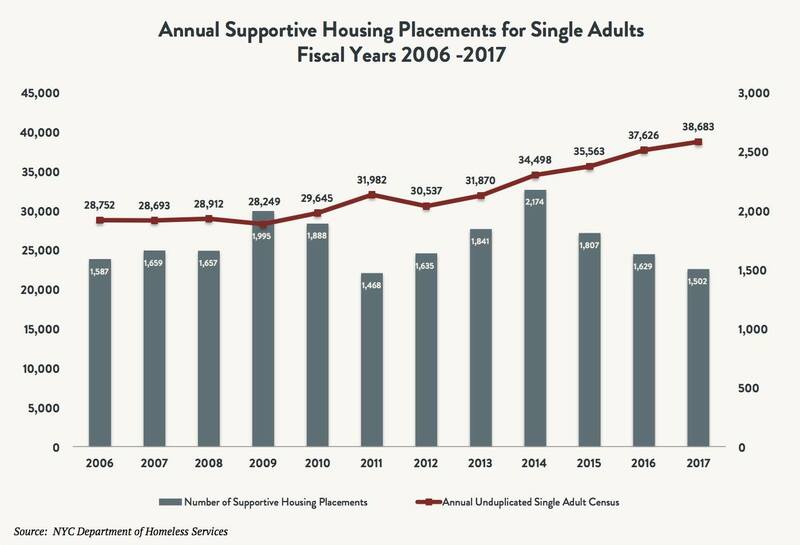 In fiscal year 2017, an all-time record 129,803 unique individuals (including 45,242 children) spent at least one night in the shelter system – an increase of 57 percent since 2002. 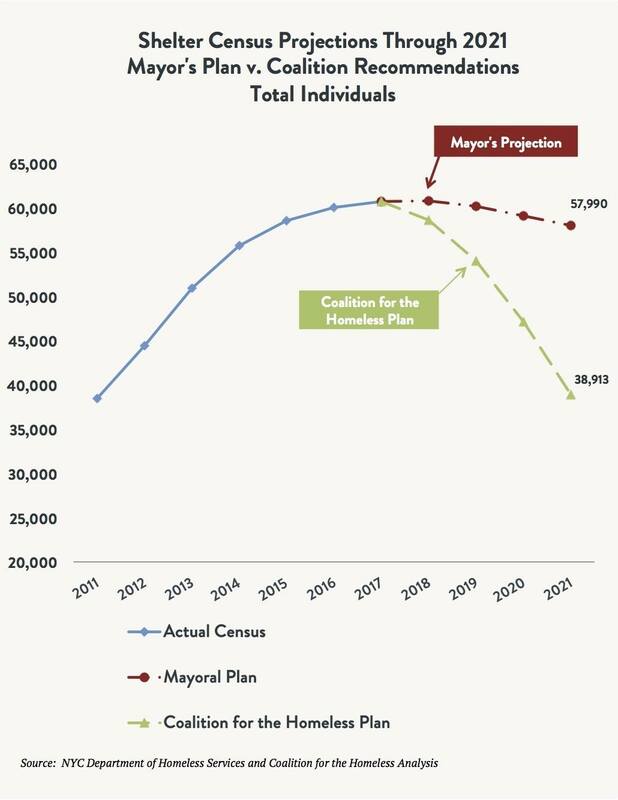 The steep and sustained increase in the shelter census that took place between 2011 and 2014 as a result of the previous mayoral administration’s elimination of all housing assistance programs for homeless families continues to contribute to ongoing record homelessness. 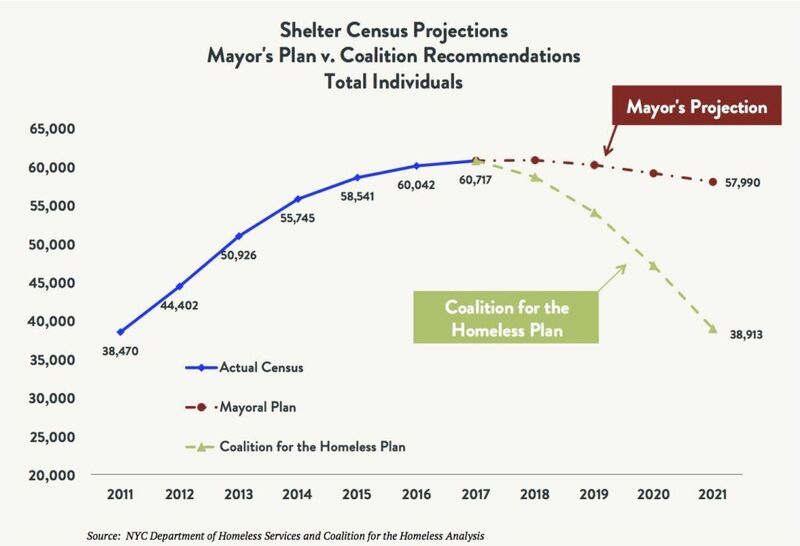 Mayor de Blasio’s restoration of housing assistance for homeless families has slowed the rate of increase in the shelter census but has not been aggressive enough to turn the tide: More families and individuals continue to enter shelters than exit to stable housing each year. State of the Homeless 2018 also outlines key steps New York City and State can take immediately to improve housing and improve homeless shelter conditions and processes, which will in turn dramatically reduce homelessness. 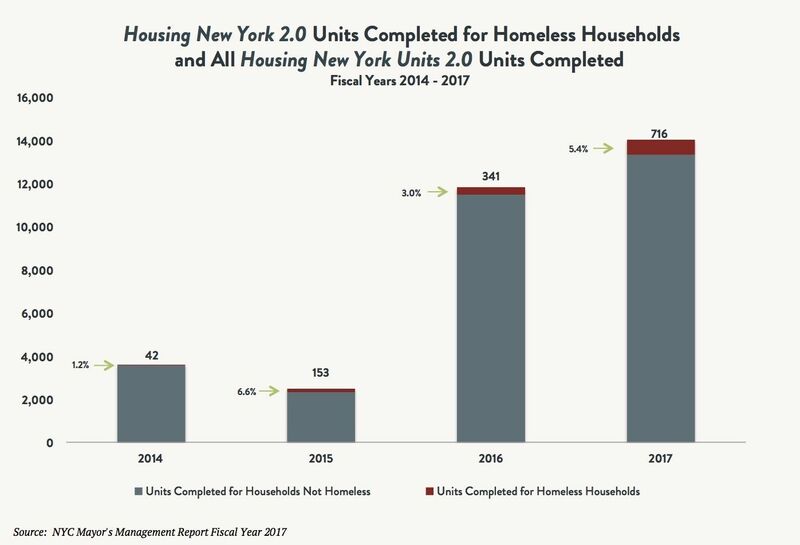 Increase the number of units for homeless households created under the Housing New York 2.0 plan from 15,000 to 30,000, including 24,000 newly constructed, deeply subsidized units and 6,000 preservation units. This plan will require the Mayor to build roughly 2,000 new units of housing for homeless individuals and families every year between now and 2026. Increase the number of Section 8 vouchers provided to homeless families from 500 to 2,000 per year. Increase the number of public housing placements for homeless families to 3,000 per year. Continue to house 4,500 new single adults and families per year through City-initiated rent subsidies. Accelerate the timeline for the creation of NYC 15/15 supportive housing units by scheduling their completion within 10 rather than 15 years. 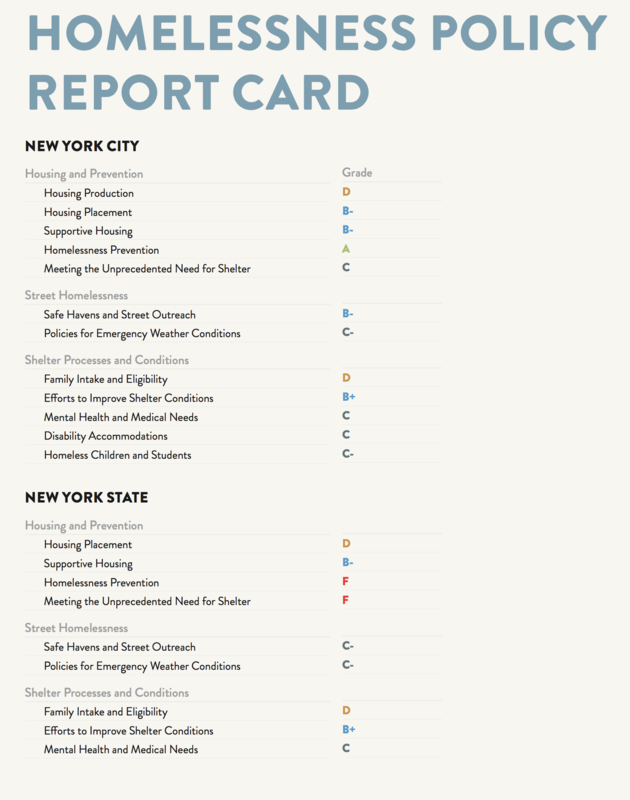 Establish a proper inspection protocol to guarantee that all housing placements made through NYCHA, Section 8, or City subsidies meet the needs of individuals and families; are guided by informed consent in all cases; and are free from conditions that could harm the health and safety of formerly homeless families and individuals or force them back into homelessness. Aggressively enforce the source-of-income anti-discrimination law. Provide all homeless individuals and families with housing application and search assistance. Implement Assembly Member Hevesi’s proposal to create a State-funded, long-term rent subsidy program known as Home Stability Support. Implement an anti-discrimination law that prevents source-of-income discrimination in all localities in New York State. Expand the Disability Rent Increase Exemption program (DRIE) to include households with a family member with a disability who is a child or an adult who is not the head of household. This would help such families retain their rent-stabilized housing, prevent their displacement to a system ill-equipped to meet their needs, and at the same time, prevent deregulation of their apartments. Accelerate the pace of production for the Governor’s 20,000 supportive housing units by scheduling their completion within 10 rather than 15 years. 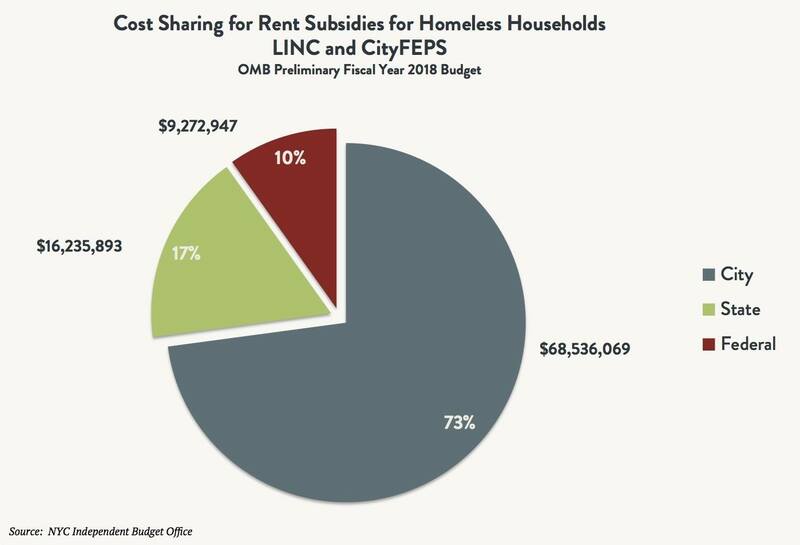 Adequately fund community-based housing programs for individuals with psychiatric disabilities, many of which have lost 40 percent to 70 percent of the value of their initial funding agreements due to inflation and inadequate investment by the State. Implement effective discharge planning for individuals being released from State prisons to identify viable housing options prior to each individual’s scheduled date of release. Ensure that individuals who have served their prison sentences receive all services they are entitled to and are not incarcerated for longer periods of time or otherwise held beyond their sentences because of lack of housing or shelter options. Increase capacity in the shelter system to maintain a vacancy rate of no less than 3 percent at all times so that homeless New Yorkers are no longer effectively denied access to decent shelter that is appropriate to their needs. Place homeless families with children in shelters near children’s schools. Open additional Transitional Living Community (aka “TLC”) shelter capacity, which is designed to provide intensive services for homeless men and women with psychiatric disabilities. Shorten the timeframe for ending the use of cluster site shelters from the end of 2021 to the end of 2019. Change the temperature thresholds and durations for extreme weather “Code Blue” and “Code Red” policies, extend the time they are in operation to 24 hours, and prevent families from being served notices of ineligibility when extreme weather alerts are in effect. Develop a medical respite program to address the needs of individuals with acute medical conditions released from hospitals and other institutions who cannot be accommodated within the shelter system. Comply with the Butler settlement to accommodate the needs of individuals with disabilities. Require mental health training for all personnel assigned to mental health shelters and intake facilities. Ensure that all shelters are adequately staffed at all times. Initiate a spot-check monitoring protocol to better assess and address problem conditions in shelters. 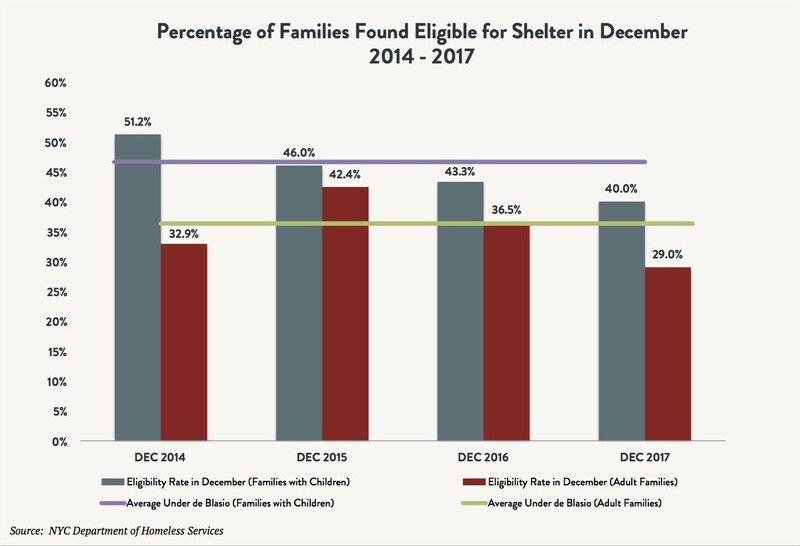 Eliminate the requirement that families applying for shelter must bring their children to their first appointment at intake, resulting in the children unnecessarily missing school. 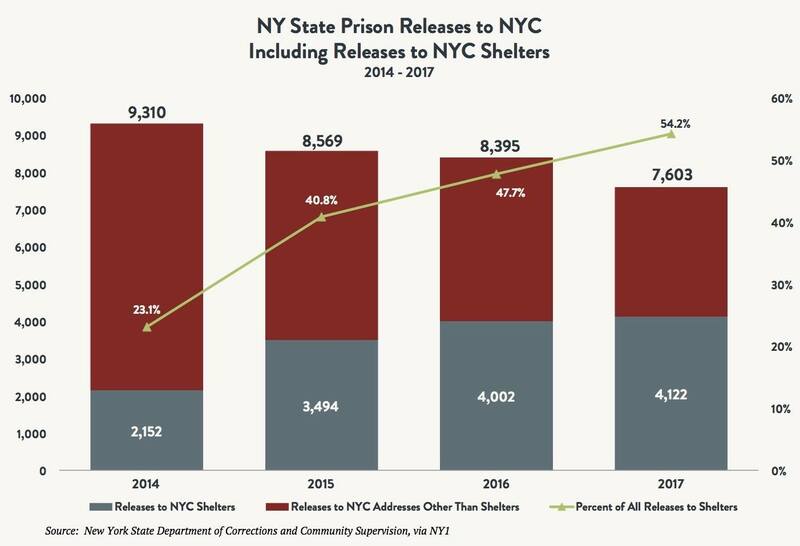 Reverse harmful cuts to NYC’s emergency shelter system that have resulted in the State short-changing the City $257 million over the past six years, and share equally with NYC in the non-Federal cost of sheltering families and individuals. Amend the cold weather emergency regulation to apply 24 hours per day, raise the temperature threshold, and prevent families from being served notices of ineligibility when the policy is in effect. Implement a “Code Red” policy that conforms to reasonable thresholds, applies 24 hours per day, and prevents families from being served notices of ineligibility when the policy is in effect. Establish a structure to license and regulate medical respite programs. Conduct oversight of all hospitals and nursing homes to prevent inappropriate discharges to shelters. Raise the personal needs allowance for those living in shelters to at least $144 per person per month, the same as others in Congregate Care Level 1 settings such as Family Care Homes and Family Type Homes for Adults. 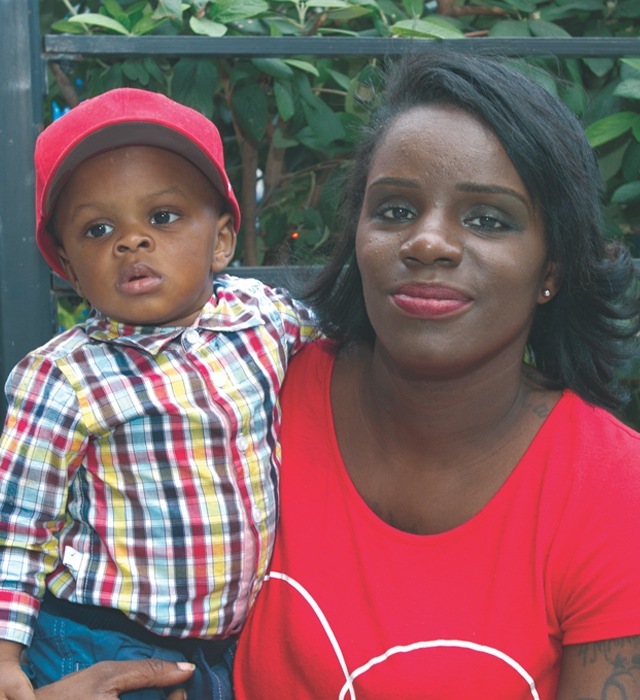 Implement a less onerous shelter intake process for homeless families in which 1) applicants are assisted in obtaining necessary documents, 2) the housing history documentation requirement is limited to a list of prior residences for six months, and 3) recommended housing alternatives are verified as actually available and pose no risks to the health and safety of applicants or to the continued tenancy of a potential host household.